Use our Security Trap emails to secure your databases from a single online place. 15, 150, 250 and more Security Trap emails managed in one easy-to-manage stream. 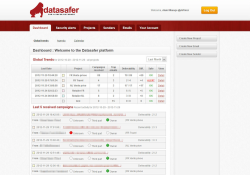 Be automaticaly informed about any breach of security usage. When email marketing becomes strategic to your business, you need to be sure that the integrity of your data is safely maintained. 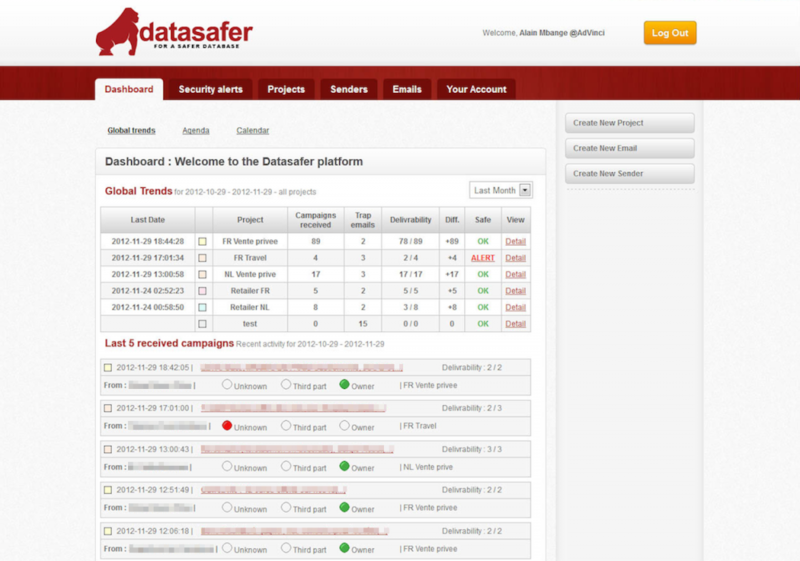 Datasafer.com will deliver 15, 150, 250 and more Security Trap emails that you will integrate into your databases, so you are sure to be informed once someone who’s not authorized uses and sends email to your database. Think! : Your entire customer database can be duplicated on a USB key. Think! 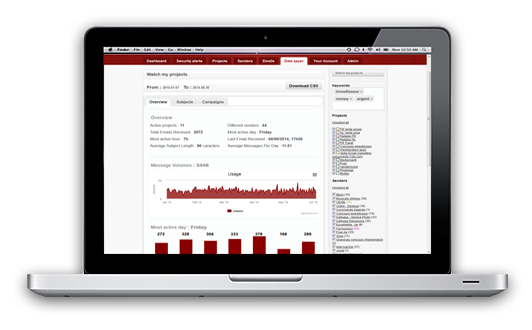 : Your customer database is probably one of the most important assets of your business. 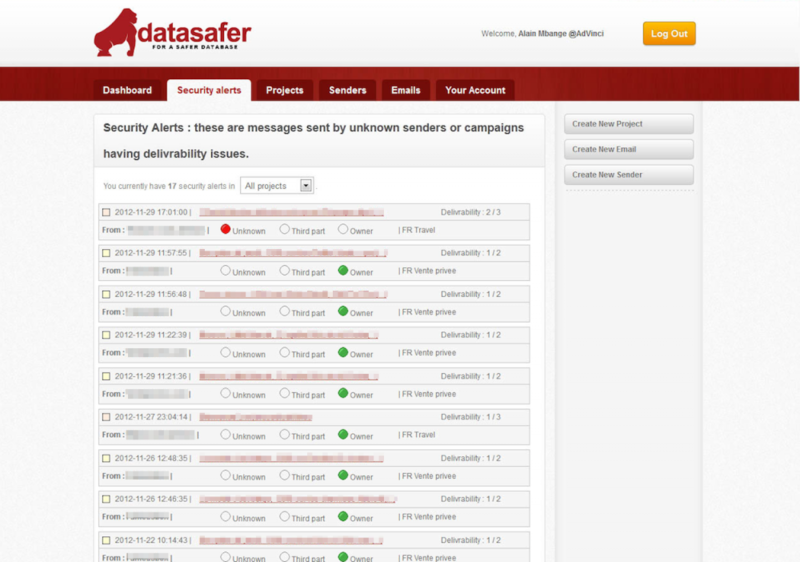 All your Security Trap emails are centralized from a single tool. Security Trap emails created from more than 100 different domain names. Use Google Gmail, Microsoft Hotmail or POP3 emails as Security Trap emails. 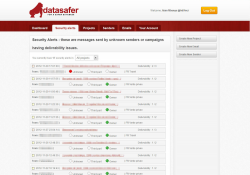 Be automaticaly informed if a an unauthorized email is sent to your database.